UPDATE: Quotes from Texas Stars GM Scott White. 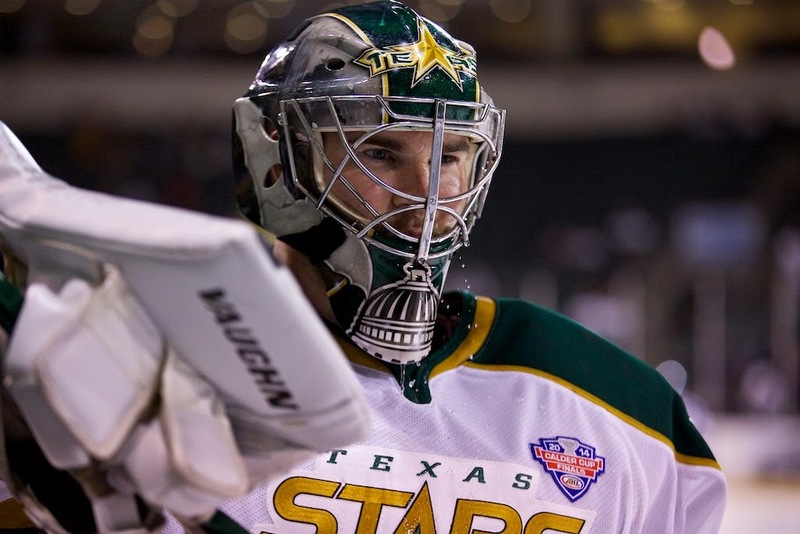 Texas Stars goaltender Jack Campbell has been assigned to the ECHL's Idaho Steelheads this afternoon. Campbell has not played in an AHL game since January 20th, a stretch of seven games, which is the longest time Campbell has been healthy and gone without playing time. In a corresponding move, Henri Kiviaho was recalled from the Steelheads to back up Rynnas. Campbell has struggled mightily this season. After playing in limited games last year due to injury but having good numbers, the first-round pick was expected to share the net with Jussi Rynnas in Texas. A disastrous November which saw Campbell go 0-4-2 with a 3.44 GAA and .903 SV% put him firmly in the backup role. Campbell owns a 3-10-4 record overall, a 0.890 SV% and 3.36 GAA. The assignment is likely a short-term move to get Campbell playing time. Idaho plays three games in four days this weekend, and you'd expect Campbell to get at least two of those games, if not all three. Texas will face Iowa this weekend back-to-back and either Rynnas will get both starts or Kiviaho will make his first AHL start in Des Moines. I spoke with Texas Stars GM Scott White later in the afternoon about the transaction. He was frank in that Campbell just hasn't played a lot of hockey between his injury and his down year this year. Idaho has a busy schedule coming up until the end of February, and White expects Campbell to spend "a good two weeks" in the ECHL. Campbell took the assignment well, according to White, who added "he just wants to play." Campbell looked at NHL goalies who had early success in the AHL and then had to spend some time in the ECHL and realized he might benefit from the same. "He's got to win games, make the big saves and stop pucks," summarized White, simply. Dallas Stars assistant goalie coach Andy Moog is working out his schedule to head out to Boise and California to observe Campbell's starts. It's really a tough pill to swallow, but he just hasn't panned out. If the organization wasn't so committing to make Campbell work out, they probably would have re-signed Nilstorp, who is having a great year in Europe. This was Campbell's year to take the goalie position. He just couldn't get it done. And frankly, I don't think he looks good in the net. He has a huge five hole when going from pipe to pipe and is out of position frequently. Just my opinion, but I hope he turns it around... but I doubt it will happen. I think Campbell has a fair bit to sort through and I feel that this move will have him hopefully wake up. However, I also feel that this coach is not doing the right thing for our team. I have heard time and time again about the disconnect between the coaching staff and the team and I have seen quite a few crucial errors on the part of Laxdal. I'm not saying Campbell doesn't need to go down, I feel that he needs to get his game on point, but I can't help feeling that this is also a part of the overall lack of coaching ability on Laxdal. With all the injuries and call ups there is no consistency on the ice. The fact that they are even close to a playoff spot with the level of play on some nights is surprising. They have a few guys playing every night who should be in the ECHL not the AHL. If they can just hang on and get in the playoffs they might do some damage. I dont think Dallas will make the playoffs so we could see Ritchie, Klingberg and Jokipakka back. I agree Todd some things have to be considered. However this being the AHL a Head Coach has to be able to coach around those problems, they will be issues every year. Following Willie is a tough draw for Laxdal, Willie was unaffected by anything including the NHL strike and no strike shuffle, Willie just kept on winning. It's fair to say last year Willie had better talent, two years ago you would have to argue the case though. IMO Pyle had far worse to work with and if Laxdal is held to an equal standard Laxdal is gone if he doesn't make the playoffs. I'm okay with that as a fan as selfish as it sounds. I do think the fact Texas firing non playoff coaches is fair enough based on the fact the ones that don't get fired have moved to Head Coaches in the NHL. Just makes Texas a high risk high reward job, I think it will be a Head Coaching position highly valued. I am actually kind of glad to see Jack Campbell go to Idaho. It's certainly not because I want to see the Stars get rid of him. I happen to think that he is the most talented goalie that we have, outside of the pair in Dallas, but there is no doubt that he has played poorly this year. The only way he can get himself out of this slump is to play, and since Texas is in a very tight race to make the playoffs, the coach has to play those who give us the best chance of winning every game. However, Campbell is not going to play his way out of the slump by sitting on the bench every night. But there is something else going on here too. I looked at the games so far this season, and recorded the goals scored by the Stars in support of each goalie. I considered only those games in which the same goalie played the entire game. Games in which the goalie was pulled are labeled "Other". 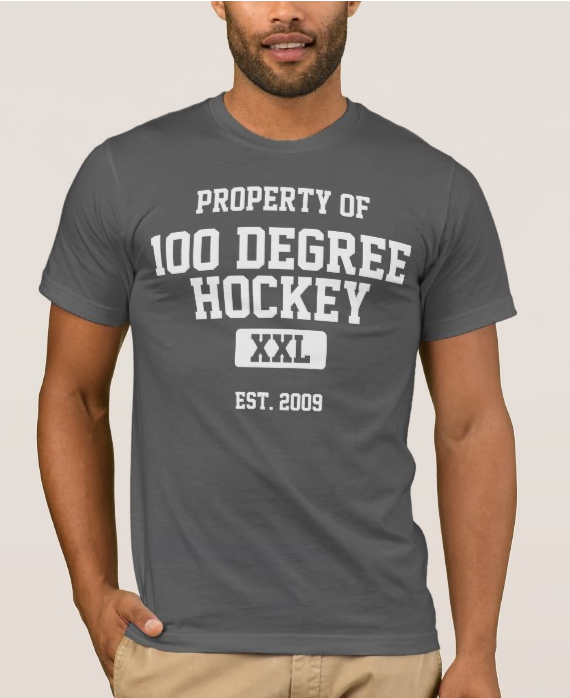 Time-on-ice is not considered, so the GAA is not the same as the AHL has recorded. The results are shown below. While it is clear that Campbell is giving up about 1 goal per game more than Rynnas, the Stars are also scoring about 1 goal per game less for Campbell than for Rynnas. Interestingly, they also score about one-half goal per game less for Lindback than for Rynnas. Now I have been watching hockey for a very long time, but I have no idea what is causing these differences. Perhaps his puck-handling, his tendency to roam with the puck - I just do not know. Hopefully those readers who are more knowledgeable than I can offer an explanation. Jack is only about 23 years old, and that is very young for a goalie. Even at his best, he is not ready for the NHL yet. But I do think that he has the most potential at the NHL level of all of the Stars' goalies, outside of the pair in Dallas. The Stars have to find a way to help him get out of his slump and get his development back on track. Continuing his development is one of the most important responsibilities that the Texas Stars have this year.